Welding drapes and curtains are perfect for environments where welding, gas cutting and grinding operations are taking place. Manufactured by Jactone in our own purpose built facility in the heart of the West Midlands we offer a choice of two highly effective fabrics. 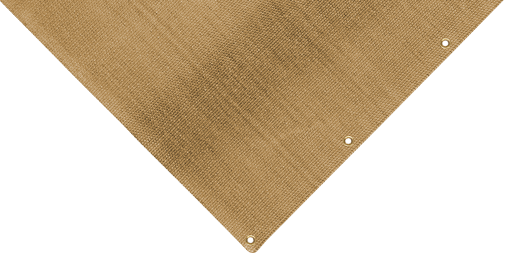 Our NG200 welding drape and curtain is intended for general duty use and our GPF1300 welding drape and curtain is perfect for heavy duty use where a higher performance is required. Whilst available in a range of popular standard sizes, we also cater for bespoke requirements and can also supply the material off the roll. Our NG200 welding drape and curtain is perfect for where mechanical durability and good resistance to chemicals is a priority. 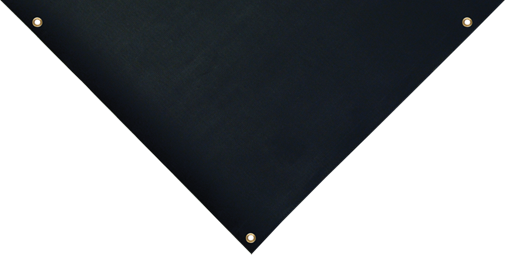 This flame retardant neoprene coated glass fibre fabric has good resistance to flex cracking and excellent resistance to abrasion, oxidation and weathering. Also resistant to attacks by oils, grease, acidic liquids and vapours with low permeability to gases. Our GPF1300 welding drape and curtain is is the fire blanket of choice where high performance resistance up to 1000°C is required. Specially treated glass fibre to raise resistance to grinding sparks and molten metal to high temperatures, whilst retaining a soft flexible characteristic. As with our NG200 range the GPF1300 blanket is portable and multipurpose.